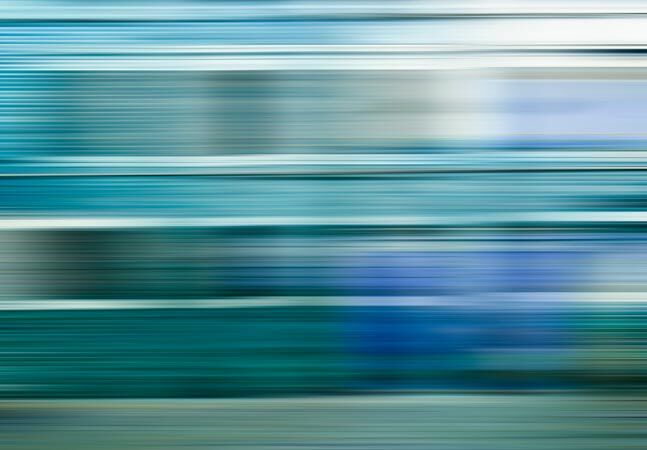 As an alternative to traditional integrated networking equipment, AT&T last week said it will donate the Disaggregated Network Operating System (dNOS) project, putting the OS purposely built for white-box hardware under the direction of The Linux Foundation. "We think white box will play a big part in the future of our industry," AT&T said when touting the white-box approach last summer. "Our goal is to help this ecosystem grow in a way that benefits everyone." 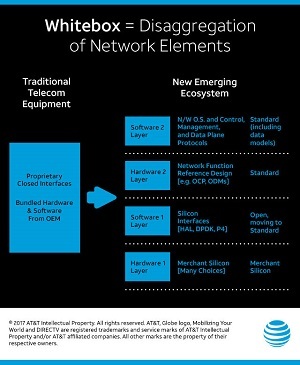 The use of commodity "white-box" hardware (sometimes called "bare-metal" equipment) is one of the founding tenets of the software-centric SDN and NFV approaches, which are disrupting traditional, legacy implementations of proprietary hardware/software packages where network intelligence and functionality was baked into switches, routers and the like. In the new era, commodity hardware is put to use on open source products and platforms with a view toward plug-and-play compatibility, interoperability and open standards. One of those platforms is ONAP, to which AT&T likened its new dNOS offering. ONAP provides a platform for real-time, policy-driven orchestration and automation of physical and virtual network functions, enabling software, network, IT and cloud providers and developers to rapidly automate new services while supporting complete lifecycle management. "White box hardware is a critical component of our own network, and we’ve been publicly discussing our deployment for quite a while," AT&T said in a statement last week. 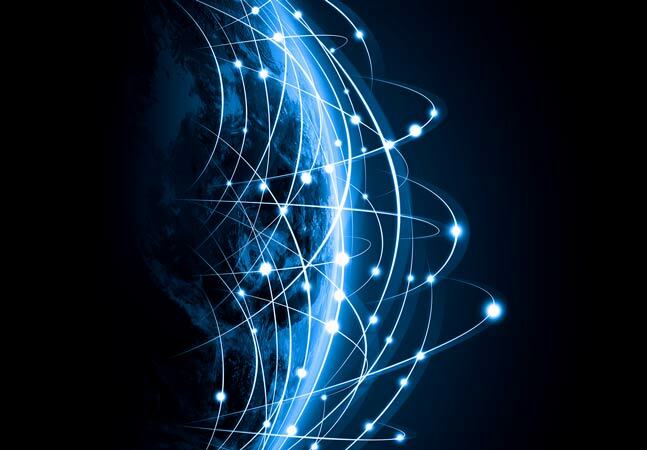 "The ONAP platform is well on its way to being accepted as the global industry platform for SDN and NFV, with members representing nearly 60 percent of the world’s mobile subscribers. But each individual device in the network needs its own operating system. That’s what the dNOS project does. This project will help foster an ecosystem of application and hardware options from multiple vendors." Unit-cost reduction through using merchant silicon, standard hardware and software technology components with very large economies-of-scale wherever appropriate. AT&T went on to say dNOS will support existing network protocols while also offering the ability to expand capabilities to embrace new tools such as the P4 open source programming language. The company said it will provide the source code and transition the project to The Linux Foundation soon, while promising to share more information in the coming weeks, including the Open Networking Summit being held next month by The Linux Foundation. Speaking of which, foundation exec Arpit Joshipura welcomed the new project to be hosted by the open source champion. 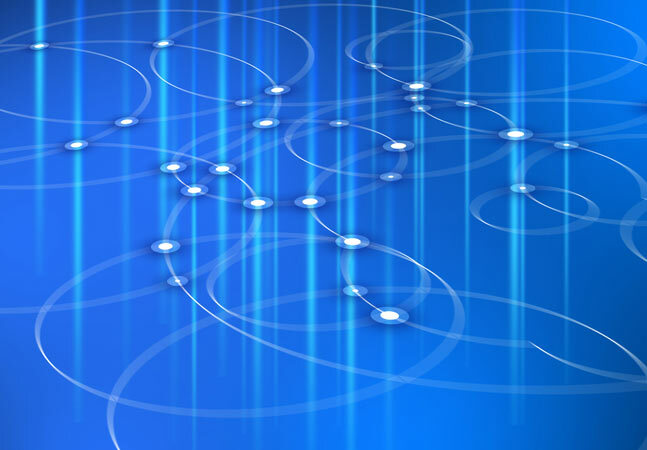 "The dNOS project will help create a network operating system community that will benefit existing Linux Foundation projects like FRRouting and OpenSwitch, and pave the way for future projects to help drive innovation at the lower layers of the network stack," he said.